A visually interesting manipulation of a summer scene, this beach party video loop ensures a breath taking video design. A powerful design for use in your videos. 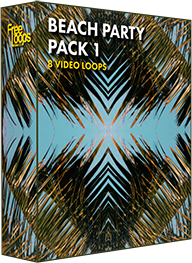 This video loop is part of Beach Party Pack 1.